Do you want to have a whole wide variety of doors and windows from which to choose? If you need Patio Doors Los Angeles but you have little time to shop, view our retail website. We are a preferred authorized dealer for the greater Los Angeles area. You really will not go wrong when shopping from our grand selection. We sell beautiful AG Millworks doors leading out to your patio. Whether you want wide-paneled glass with wooden frames or something that is more ornate, you likely can find it in our catalog. Need Replacement Windows Pasadena Pasadena for either your home or commercial property? You can have both style and functionality with the choices which we sell at Intex Windows & Doors. On top of being able to buy replacement Wood Windows Los Angeles and other features from us, we also offer installation services on storefronts, commercial buildings and residential properties. Our superior service and professional know-how will make any project run smoothly. We always will be dedicated to providing only the highest standard of quality in products and service to our clients. 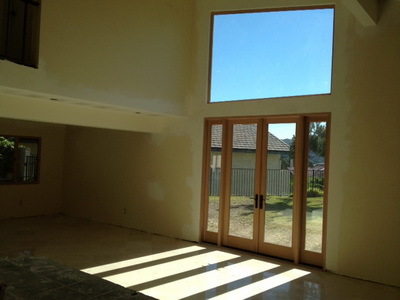 We know how important it is to have your windows and Patio Doors Los Angeles repaired quickly. We also know that it is crucial your project remain on schedule when it comes to windows and doors. Though extravagant patio doors may not be a necessity for your home, you should get your dream feature as soon as possible in the course of your home being built or remodeled. You are welcome to contact us immediately for an in-home free estimate. Or, you can call us to get a better idea of these products and ask any questions that you have in mind.